Two of the barrels under one corner of the raft were leaking. 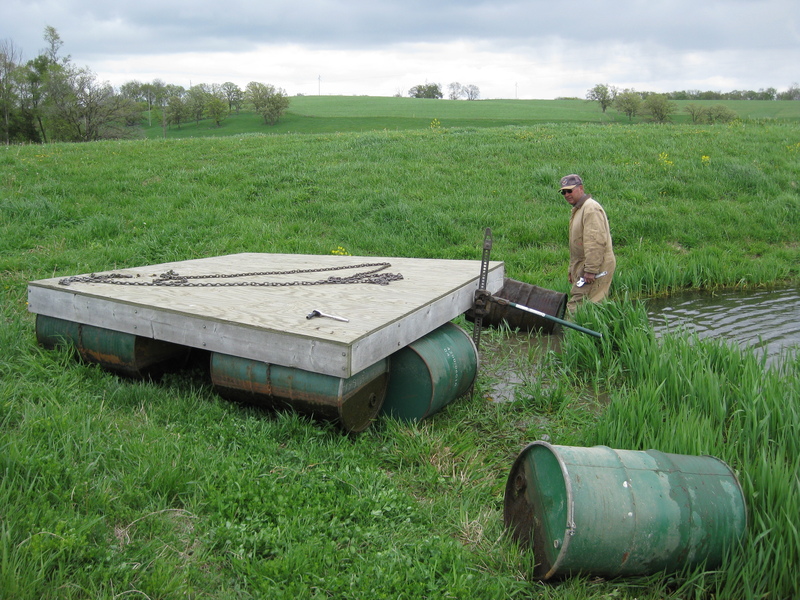 We pulled it out of the pond with a tractor, jacked up the corner, unbolted the barrels, and paused, because we heard something. I kicked a barrel loose and two Gray Tree Frogs fell on the ground. They must have climbed up onto the barrels underneath the raft. So now I’m thinking the frog eggs in the last post belong to the Gray Tree Frog. This entry was posted on Saturday, May 8th, 2010 at 8:52 pm and is filed under Curious nature. You can follow any responses to this entry through the RSS 2.0 feed. You can leave a response, or trackback from your own site. 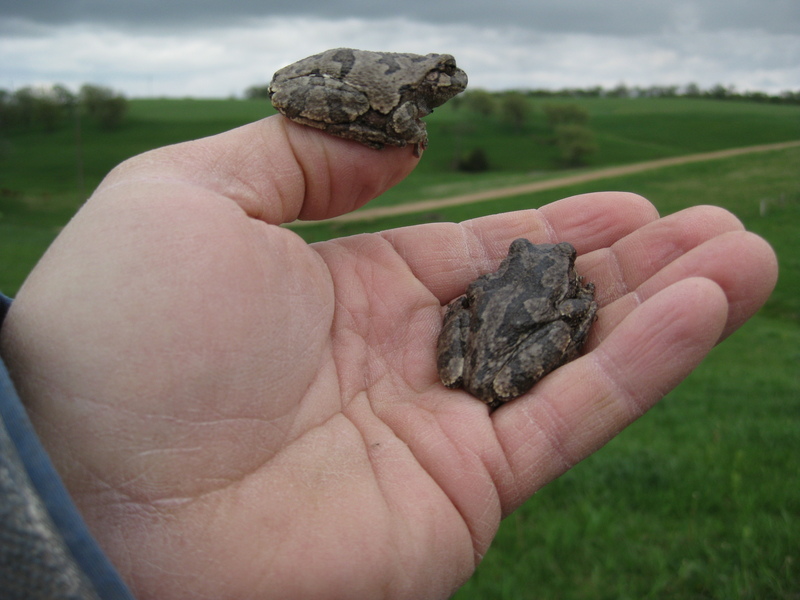 As far as frogs go, they are pretty cute.